Posted on Saturday, January 19th, 2008 at 5:32 pm. 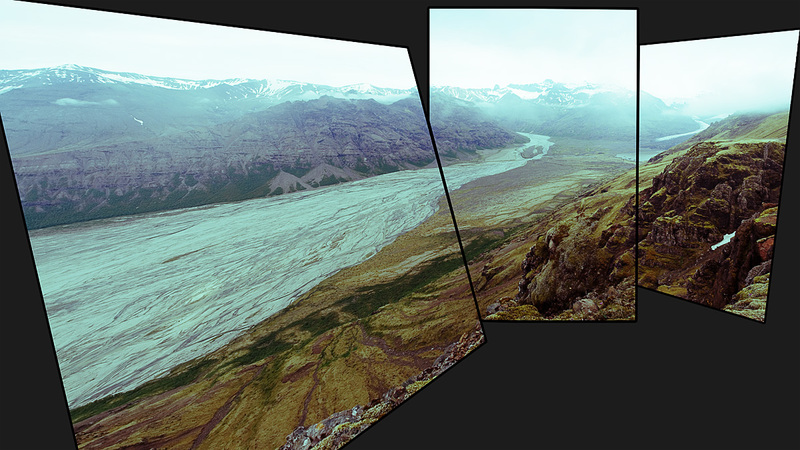 Filed under: Iceland Tags: Glacier, Iceland, Mountains	RSS 2.0 feed. At first I thought i was looking out of an airplane. Phuck pro-stich. This is pretty cool. I may steal this idea someday. I forgot about site and haven't been here in a really long time. Your work/style has really come a long way. I like this presentation of a pano A LOT! It does an especially great job of providing perspective on the scene.